Much like its French cousin, the Renault Kwid, the new Redi Go 1000cc model gets a 1.0 litre, 3-cylinder Petrol engine that outputs a max. power of 67 BHP and a peak torque of 91 Nm. The engine comes mated to a 5-speed Manual Transmission for now. However, an AMT is on the cards and should launch in a few months from now. This bargain basement hatchback is underpinned by the Renault-Nissan group’s CMF modular platform. The 800cc Redi Go had its India launch in June 2016. Since over a year of its presence in India, the manufacturer has managed to establish itself quite well in the market. That said, the entry-level Datsun hatchback is yet to start doing the kind of sales numbers that the Kwid posts every month. 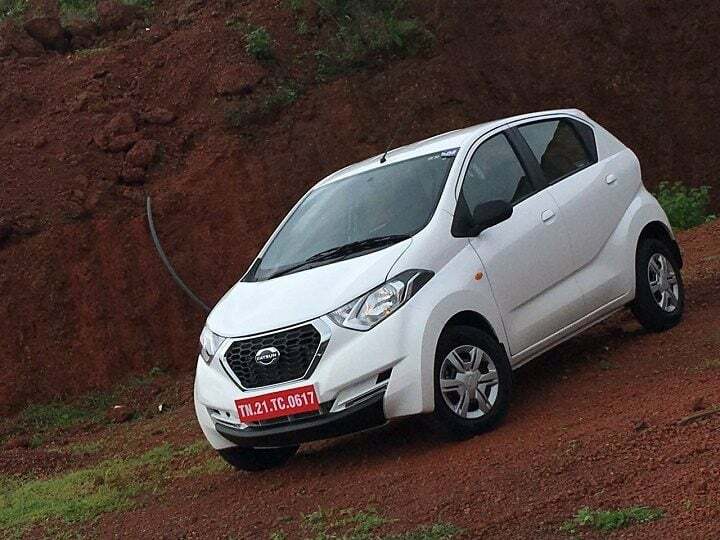 Still, with an average monthly sales figure of over 2,000 units, Datsun India has high hopes from the Redi Go. It earlier launched the Sport limited edition of this entry-level hatchback. The Redi Go Sport came with a set of sporty decals and an all-black interior to add some more excitement to the way this car looks. The manufacturer has romped in Sakshi Malik, the Indian Olympic medalist, as its brand ambassador in India. Now, the advent of the 1000cc model should further help the company post better sales numbers. The 1000cc Redi Go gets only the top-end S and T(O) trims. Compared to its 800cc sibling, the new car commands a price premium of around ₹ 50,000. Our estimates are based on the difference in prices of the two engine variants of the Kwid. With the same engine going under the hood of the Redi Go 1.0, we expect the same pricing strategy. Prices of the AMT variant, upon launch, could exceed the ₹ 4 lakh mark. Bookings for the new Redi Go have been underway. You can pre-order this car at any authorized Datsun dealership for a token amount of ₹ 10,000. This amount is fully refundable in case of cancellation. At a sticker price of around ₹ 3.5 Lakh, the Redi Go 1.0 should come across as a pretty value-for-money proposition. It looks stylish, has a lot of cabin space on offer, and now, with a 1.0-litre heart, it ticks many boxes. With its launch, the Redi Go becomes fourth such product, after the Alto, Eon and Kwid, to offer both 0.8-litre and 1.0-litre engines. The Redi Go 1.0 will rival all the aforementioned products. However, with a high cabin space and a really stylish exterior, it should enjoy and edge over at least some of its competition. The launch of the 1000cc version comes around a year after this stylish budget-end hatchback first stepped into the market. We’re also expecting an AMT variant to launch in the coming months. 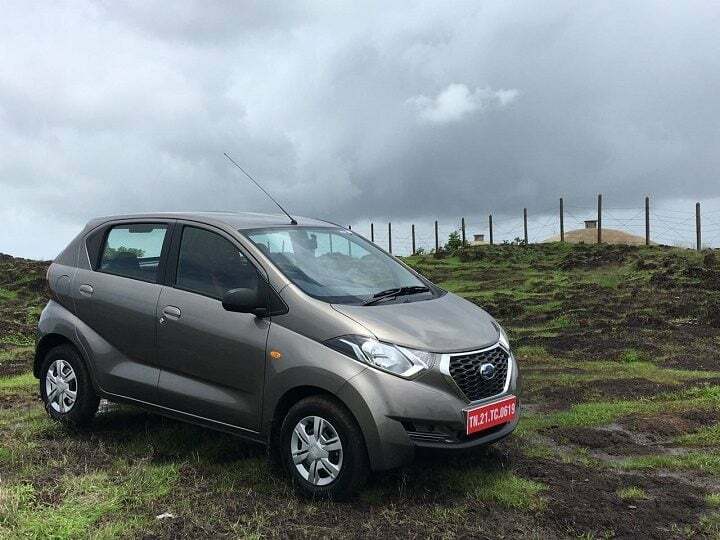 From the looks of it, Datsun has adopted a Kwid-like strategy for the Redi Go. This means even this stylish hatchback will soon retail in 3 avatars – 0.8 Litre, 1.0 Litre and 1.0 Litre with AMT. 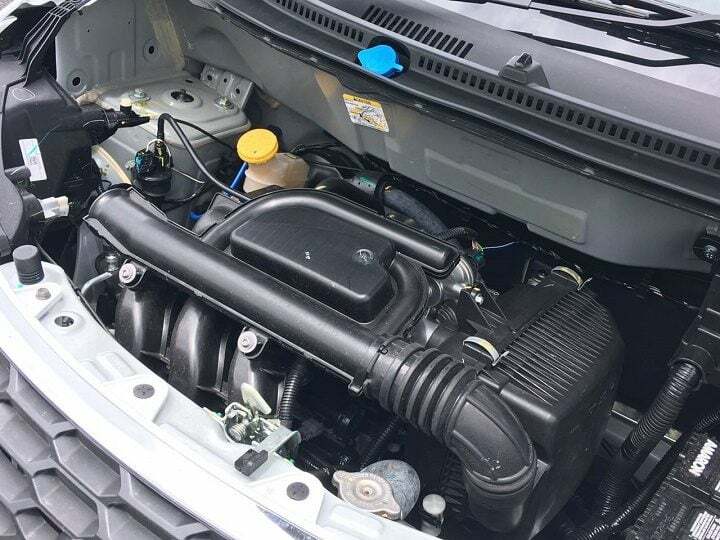 The latest model of this budget-end hatchback gets the same 1.0-litre engine that powers the 1000cc Kwid. The Redi Go commenced its Indian innings with a 799cc, 3-cylinder, petrol engine that has a max. power of 53 BHP and a peak torque of 72 Nm. On the other hand, the new 1.0-litre variant outputs 67 BHP and 91 Nm. For now, the engine will come with a 5-speed Manual Transmission. However, an AMT variant is sure to launch in a few months from now. The RediGo 1.0 is built on the CMF-A architecture from the Renault Nissan group. The new 1000cc model doesn’t get any changes for its suspension. As per Datsun India, the additional weight of the bigger engine doesn’t warrant a change in suspension settings. Hence, apart from the engine, nothing much has really changed in the technical department. Even the brakes have been left the same. While braking force is mostly adequate, ABS could have been a welcome addition. The new rediGO 1.0 is pretty high on the fuel mileage front. With an ARAI-tested mileage of 22.5 KMPL, the new model is only 0.2 KMPL less fuel efficient than its 0.8-litre sibling. However, it’s 0.33 KMPL higher than what the Kwid 1.0 offers. With the kind of additional power that the new 1000cc engine brings in, a marginal decrease in the fuel efficiency is a really small price to pay. With a fuel tank capacity of 28-litres, the new model is frugal enough to have a really long range. The latest Datsun is a budget-end offering. Hence, one can never expect it to come with a host of features to enhance comfort and convenience. That said, the new 1.0 model comes in the top-of-the-line S and T(O) trims, which means it does get you at least a handful of features. Compared to the the 0.8-litre variant, the new car doesn’t get any additional features. However, this has been done to ensure that the price of the new car remains under a check. Here’s a list of all the available features on the fully-loaded version. It’s noteworthy here that the audio system being offered is a rather basic unit. There’s no smartphone integration or a touchscreen interface. As you must have guessed by now, there’s absolutely no change in the dimensions. The rediGo isn’t too big on the outside, but thanks to its clever design, there’s enough space on the inside. Another highlight of this car is its really high ground clearance of 185 mm. To put things in perspective, the Hyundai Creta has a ground clearance of 180 mm. 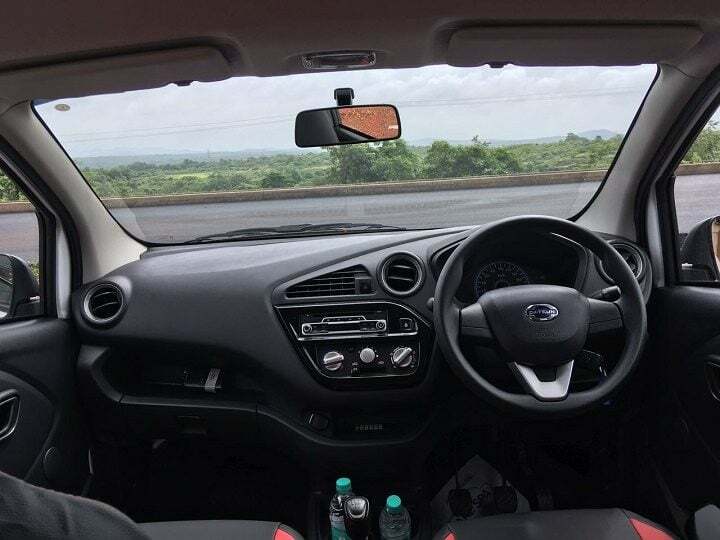 The new car is mainly targeted at the 1.0-litre versions of the Maruti Alto, Hyundai Eon and Renault Kwid. The RediGo 1-litre variant should hold a slight pricing advantage over most of the competition. Another huge benefit it has over the Alto and the Eon is the more cabin space it has on offer. Also, a high ground clearance of 185 mm is even higher than the Kwid’s 180 mm. We’re pretty sure the new 1-litre version of this Datsun will be a worthy rival to all the above three cars. There’s hardly any difference in the way the two engine variants of the rediGo look. Unlike the Kwid 1.0, which at least gets a set of decals to announce its bigger engine, all the new rediGo gets is a ‘1.0’ badge on its bootlid. Other than this, there’s really no difference in the way the new model looks. We feel that it’s an opportunity lost because Datsun India could have given some minor styling tweaks to make this car look even more appealing. That said, we’re sure that the manufacturer has decided against doing so in interest of a competitive price tag. A new design for the wheelcaps and some decals would have been welcome though. The rediGo looks a lot like the rediGO concept that was showcased some years ago. Talking about this concept, Shiro Nakamura, SVP and Chief Creative Officer and the designer of the new GT-R, said,”Although Datsun redi-GO Concept is just that – a concept – it shows clearly the way we are thinking. 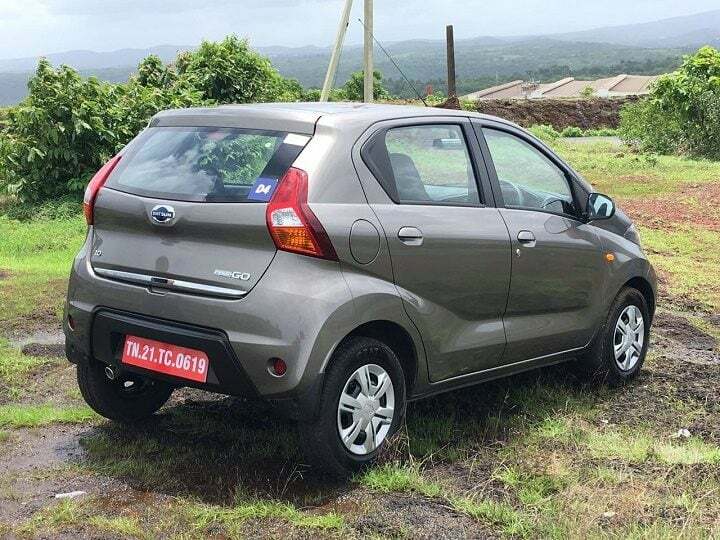 It’s an ambitious styling exploration but, being a Datsun, it is a logical design, too.” And indeed, the rediGo has turned out to be a really logical design. It’s modern and distinctive, but clean and robust. Basically, this car provides a good amalgam of practicality of a small hatchback along with the rugged stance of a crossover. Highlights of this car’s design include short overhangs, crossover-ish stance and the strong twin character lines running along the side profile. The stylish headlamps along with the funky Daytime Running Lights (DRLs) add a touch of sophistication. While the exterior of the Datsun redi Go 1.0 impresses with its design, the interior is pretty utilitarian. Again, there’s hardly any change in the way the new variant looks on the inside. However, the interior panels get an all-black theme to make things slightly more exciting. Also, the aircon vents now come with faux silver highlights. There’s also a slightly fancy speedo console with a digital tachometer. And let’s not forget about the acres of space this entry-level hatchback has on offer. Seating 4 full grown adults in considerable comfort is not an issue with this car. There’s also a decent boot space of 222-litres. Other than this, the new model gets optional black-red seat covers to make the interior slightly more interesting. Also, we do like the gloss trim on the centre console. We will publish the Datsun Redi Go 1.0 Price list the launch date of the new car. Till then stay tuned for latest news updates on the new 1000cc version of this hatchback.